Cost £120 for 3 days, £45 per day. Bookings have been coming in and places are limited, so book early at Eventbrite here: http://bit.ly/ExpressingEarth or copy and paste this into your search engine. Friday night Ceilidh only: £5 pay at the door. 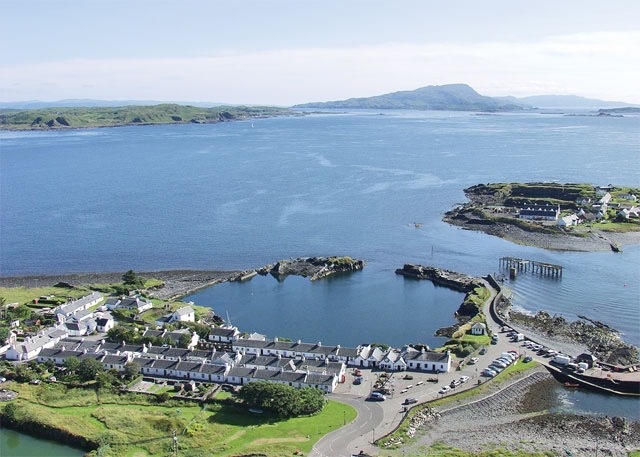 The 3 day cost includes all sessions, 3 lunches, 2 evening meals and 2 ceilidhs, all teas/coffees and return transport and ferries to the Isle of Luing, Easdale Island and Kilmartin Glen (and Kilmartin Museum entry). Free Wifi and a bookstall will be available in the Hall. All participants will receive a free copy of Grounding a World: Essays on the Work of Kenneth White, Alba Editions rrp £9.95. What is Geopoetics? The main elements of geopoetics will be outlined in this illustrated talk with particular reference to an unlikely source: the life and work of George Orwell. As well as being a politically-driven author, he was also a naturalist who yearned for the Golden Country of his childhood and tried to become as self-sufficient as possible when living on Jura and in the village of Wallington in Hertfordshire. Readings of extracts from some of Orwell’s essays and novels will feature as well as from the speaker’s forthcoming novel about him. Parallel sessions 1 and 2. As a long-established heritage interpretation consultant and wordsmith, I would describe myself as a ‘perception pollinator’ – I hope to fertilise minds with awareness, understanding, appreciation and ideas in relation to our landscape, natural heritage and cultural heritage and, particularly, how these are all related. Very few other poets in the English language have had such a defined sense of belonging to a place and a landscape as John Clare. Since his death in 1864 Clare’s star has consistently risen in the aspirational firmament of those concerned with landscape and the new nature writing, as well as the lot of man in his place while the Industrial and political world spins about him. As a professional storyteller, Patsy Dyer sees local myths and stories as a fascinating insight to the landscape. History and beliefs within the stories can be inspirational to artists, poets and writers of all ages and also open a world of imagination to those who may have difficulties with the written word. Argyll possesses a rich collection of landmarks and natural features which have inspired folk-tales that often entwine with fact. There are castles, records of characterful people in libraries and record offices. There are collections of bizarre memorabilia held in museums – and banks – connected with fairytales, Clans and distant wars. Even plants growing in the landscape have tales to tell. A presentation describing her creative processes of inhabiting landscape – through poetry, gardening, making and using herbal remedies, and study of folklore and traditional knowledge of medicinal and other uses of herbs. It is themed around the herb garden at Kilmartin, which delegates will have a chance to visit. I refer to Mary Beith’s Healing Threads (Polygon 1995to David Abram’s argument in The Spell of the Sensuous (Vintage 1996) A. Arber’s Herbals: Their Origin and Evolution (Cambridge 1912), and my own work on the Old English Lacnunga, stressing the potential role of poetry in crossing those divides, presenting a holistic intellectual and sensual response to the earth. This presentation will argue that a geopoetic sensibility can resist the tendency to offload the search for nature and a better relationship with nature to the margins of modern living, or – to put it another way – help bring in the concerns and awareness which can presently flourish more in edgelands and wilder marginal environments to mainstream populations. The connections between geology landscape and people along the Atlantic edge of Scotland are deeply engrained. The islands and seaways, with their distinctive landforms and geological landmarks have been familiar since Mesolithic people travelled from island to island after the land emerged from the Ice Age. Living in this emergent landscape, people developed a strong relationship to the Earth, described as an ‘earth-sense’ by Kenneth White. New worlds opened, too, for those that followed – poets and artists seeking inspiration, geologists pursuing insights into past worlds, and early tourists in search of sublime landscapes. Today, exploration of the cultural links between geology and landscape can enable rediscovery of a sense of wonder and better appreciation of our geoheritage. Nikita Pfister (Switzerland): Expressing the Earth with Sound – and Music! Sound in all its forms structures our environment, and hearing and listening allows us an all-round perception, even when we are sleeping. Music has a long history of modulating and expressing the environment. We will focus our attention on the soundscape around us, in an active and conscious way, inspired by elements used in music therapy and body-mindfulness and will include a composition inspired by an element of the Earth: a river, with its natural and “humanized” aspects, and the path, researches, survey, social impacts, which guided the inspiration and developments of the work. Beyond the rhetoric and rehearsed narratives of people and place, I am interested in the qualities and characteristics which underpin local life. Through the participation and performance of everyday life I seek to uncover values which may otherwise remain hidden and explore how these can experience an increased awareness in social discourses. My current research shares some of the sentiments of stories from Sutherland and the kinds of questions they provoke for contemporary community practice. Laura Hope-Gill lives in Asheville, North Carolina, but within an hour’s drive of Craggy (creagach) Gardens at 6000 feet above sea level. This part of the Great Smoky range is called the Southern Highlands. On the first weekend of July each year descendants of Scottish settlers converge here for the annual “Grandfather Mountain Highland Games and Gathering of Scottish Clans.” The “Western Highlands Festival” occurs in October, touting the name “Celtober”. I’ll present a geopoetic narrative of the American Highlands, engaging the music, the storytelling tradition, and the other manifestations of Migration and Memory that bind me to this place. The artist Douglas Robertson will deliver a presentation and poetry reading exploring the importance of the coastline, the sea, and their varied life forms on his work, both as an individual and in collaboration. The Clyde Firth and River constitute an opening of a world, a denudational rift between nature and culture, urban and rural, the imaginal and the material. How this catchment and its people are kept on the move when traditional ecological, social and economic conditions are ruptured is explored via ethnography and acoustic ecology. Using field recordings, sound sketches, autoethnographic reflections and visual dream logic, the land and water and the place and its people are reflected and inhabited. Areas where the flow is blocked or stagnant are identified. New perspectives on living in the waterscape are suggested, embodying the kind of functional life disciplines that would make a sustainable future for us possible. Co-curation of heritage ‘objects’ transgresses boundaries and reveals blockades in diverse heritage dwellings. This research summary considers collaborative interpretation and management of these cultural riches as a hands-on, cultural mirror for communities envisioning sustainable futures, inspiring questions: What can co-curation reveal about the role of heritage in processes of entanglement, exclusivity, specificity and cohesion? Does unlocking the ‘Authorised Heritage Discourse’ generate meaningful engagement with past and present identities? Can co-curation offer a dynamic model for communities knowing their stories and narrating sustainable futures? This contribution explores the psychogeography of islands both physical and imaginary, located in difficult waters, as places shaping, and shaped by, precarious human livelihoods. The arrival of folklorists seeking “the authentic”, along with societal changes, prompted a new inclination towards individualism and economic progress among the Islanders. The Blasket now symbolised vulnerability as the islanders’ increasingly fractured relationship with the earth threatened their survival until they had to desert a place no longer theirs, appropriated as the “spiritual mainland” of Irish-Gaelic identity. The Blasket today is many islands, waiting to be reclaimed and recultivated. Se- seaughal beag a th’an – it’s a small world, a small world indeed. The Far Flung Collective project is a beautiful exploration of these two ideas which are simultaneously true, a sharing of musical and written response to fragile yet vital places, cultures and traditions. Developed as a joint collaboration between Soundstorm Music Agency, fiddler Anna-Wendy Stevenson and Lews Castle College UHI, the Far Flung Collective is an educational project with new artistic output of commercial recordings and international performances including Celtic Colours festival in Canada 2016 and Celtic Connections 2017. James McCarthy (Edinburgh): Nan Shepherd: An Early Geopoet. Born in 1893, Nan Shepherd became a much-loved teacher in her native Aberdeenshire and a poet who not only described the life of the poor farming communities there, but published three outstanding novels incorporating the vernacular language of these communities. These are now recognised as significant contributions to the Scottish literary renaissance of that time. Later, she identified closely with the massif of the Cairngorms, publishing a paean in poetry to the mountains which she loved, her last work Living Mountain published in 1977, establishing her as an original geopoet in all but name. Last autumn, I saw a fish just recently washed up on a local beach. Not a fish with silvered scales, eyes clouding as they dried. A black fish, pressed flat on a grey stone shoved in by the waves of a recent storm. But this was no fish from any sea still moving on earth. Its eyes lost focus more than 370 million years ago, as it sank to the bed of a vast lake. This was the biggest jolt yet, but for some years now, I’ve been stopped in mid-pace by other traces of Orcadie, a lake that grew and then shrank and vanished as continents collided. I’d like to share my fascination with Lake Orcadie, discuss some of the ways it has given me new perspectives on the work of Hugh Miller and Neil Gunn and also refreshed my response to northern coastlands. Born in Glasgow, Héloïse Russell-Fergusson regarded Port Appin as her home. A trained pianist preferring the clarsach, she was a nomad and outlier, playing from Tallin to Tokyo, New York to Cairo during the 1920s and 1930s. Based in Oban in the mid-1960s, she released 4 EPs of experimental music in which she abandoned conventional forms and expressed much more directly her sense of connection to the natural world, particularly to water, using twin tracks, wordless singing, improvisation and other world music. Geopoetics means “world making”, it “opens space” and prepares ongoing encounters of the “earth-thing” with the “mind-thing” Kenneth White. This paper presents a close reading of Iciar Bollaín’s 2016 film El Olivo, in which a German energy company, in the name of sustainability, coerces a Spanish family into the sacrilege of selling one of their oldest trees. The film offers a perspective on the interaction of generations of people and plants that will be evaluated geopoetically and botanically. Michael Pollan, in The Botany of Desire, asks: “We divide the world into subjects and objects. What if that grammar is all wrong?” This paper offers a revised concept of local agency: altering our grammar alters our consciousness, so that the earth-thing and the mind-thing may experience yet another geopoetic encounter. From the Ross of Mull, I will offer a perspective on these diverse islands: landscapes and communities shaped by geology and the way people have worked the land and sea. Salt water both separates and connects us: wandering Celtic monks, cattle-raiders, fishermen, light-house builders, whole families emigrating during the Clearances, pilgrims and tourists today. Networking Optional: exploring Ellenabeich on Seil and the Slate Islands Heritage Trust Museum: learn about heritage and create! Ian McFadyen will offer a reading drawn from his collection of poetry in Scots and English, along with a reflection on how his creative practice reflects and connects with the geopoetic theme of ‘expressing the earth’ through a process re-discovery and renewal. His poems emerge as a response to the landscapes, soundscapes, creatures and features in the natural world. The music and the poems are centred on the enduring but challenging relationships between people and place. They were produced experimentally -via the traditional practice of first absorbing and second expressing the ‘spirit’ of a place back to its people. The role and importance of Interdisciplinary research and learning at the University of the Highlands and Islands. This keynote lecture will explore the development of interdisciplinary research, teaching and learning within the University of the Highlands and Islands (UHI). UHI is Scotland’s newest University, and yet reflects the history, cultures, economic drivers and socio-economic characteristics of a diverse and dispersed region. Based around 13 academic partners in all parts of the Highlands and Islands from Shetland to Argyll and from the Western Isles to Morayshire, there is a rich context for the development of interdisciplinarity. The talk will begin by setting out that context and some of the key drivers, prior to illustrating interdisciplinarity through some exemplars and case studies, the key idea being that the context of the Highlands and Islands provides a rich and unique environment for interdisciplinarity. This place-specific workshop combines walking and writing as a way of considering Point of View in both its topographical / aesthetic, and literary / textual, senses. Grounded in bodily experience of place, and utilising all the available senses, it allows a deep engagement with the locality, details in it, and what can be seen, or experienced in other ways, beyond it. Structured exercises, drawn from Mindfulness and other disciplines and practices – and some free space – will enable each participant to develop a piece of writing marking their unique response to the place and time; and to share in a supportive way. In 320 BC, a historical explorer-scientist, Pytheas of Massalia, made an epic voyage of discovery from present day Marseilles up into the far north of Europe. The Stone Stories, a historical novel trilogy, forthcoming from Saraband, is an imagining of his story, drawing on my own experiences sailing in Scottish waters and blogging for archaeologists at Iron Age excavations. I would like to share this experience with conference participants, and help other people to re-discover the ocean as a time-travelling device. My event would be participatory, involving going down to the seashore to find inspiration for imagining the past. Using all of our senses we will let the sea help us to generate words and phrases, perhaps poetry or stories, and to use ripples from the past to stir reflections on our future. This workshop encourages connection with the landscape and soundscape through listening and sounding, including mindfulness practices and creative music making. Through mindfulness exercises, our presence deepens, as does our awareness of ambient sounds and the other senses. Mindfulness also promotes attitudes of nonjudgmental exploration and playfulness with regard to sounding and music making, opening doors to everyone’s inherent creativity. We will play Deep Listening pieces by Pauline Oliveros, such as “Environmental Dialogue”, and explore creating music in the moment through guided improvisations relating to the land. The familiar environments surrounding a society projects itself onto its citizens and it is this outward emanation from environment to individual or collective that provides the subject matter for my practice: the expanded territory of the garden. We will engage with making our own representations of real locations and collecting views from a wider audience. I often use silver gelatine emulsion followed by graphite and ink to suggest the emergence of a new and unexplored location. This transformation of surface and image acts as a defining metaphor to contribute to the parameters of my image-making processes, through which I aim to create an alternative form of vision making; a reverse romantic pastorale. In the book ‘Downcast Eyes’ (1994), Martin Jays suggests that ‘all perception, is the result of historical changes in representation’ and so how we view a work is dependant on our historical, political and social viewpoint. This is reiterated via the study of Geopoetics and involves the search for a new philosophical standing. I will engage with other Geopoetic inspired individuals and groups during the conference and thereafter look to exhibit their works alongside examples of my own practice and experiences. We will use some straightforward writing activities to start a poem, capture a moment, paint a word picture, create a cocktail or a kaleidoscope, simple or complex. We will take away a tool kit of activities to tackle creative challenges and use them on some of the outings during the conference. Participants will become confident in producing poetry to describe landscape and identify their reactions and emotions to it which will raise awareness of poetry creation as a cathartic experience. We will highlight and analyse briefly some classical landscape poetry and re-group to compare, contrast and explain our reactions to activities and provide full group feedback. Beginning with the tenet — we are not separate from Nature, this is an opportunity to explore inner responses to the experience of being in this place. We start with a reading from relevant text, poetry, or lore, participants then make art individually, following which we view and discuss the images together as a group. This process allows for the emergence of insight into the overlap between ones personal experience, and the collective. Giving primacy to the image as imaginal expression of psyche that stretches beyond what we may regard as only human experience, we nurture a sense of Self that is inclusive of our surrounds. Mairi McFadyen, Ullrich Kockel, (Edinburgh) and Sam Harrison (Inverness): What would a Geopoetic Creative Ethnology look like? In recent years, a network of creative practitioners and academics has emerged in Scotland keen to explore the potential of a creative ethnology. Responding to the theme of ‘Expressing the Earth,’ we propose an open creative workshop inviting participants to reflect on the question, ‘What would a geopoetic Creative Ethnology look like?’ This workshop will be led by creative ethnologists Dr Mairi McFadyen and Professor Ullrich Kockel,with ecologist and place-based education expert Sam Harrison. 11.30 Temple Wood Standing Stone circle: create! 13.00 Kilmartin Museum and kirkyard heritage, archaeology, herb garden. 11.00 Slate Islands Heritage Trust Museum or Walk along the shore: create! 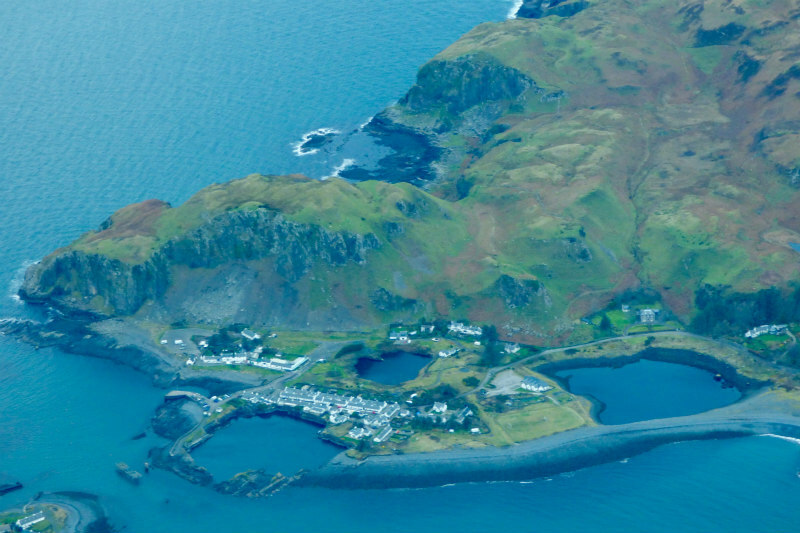 11.40 Easdale Folk Museum or Walk round island: create! This is the 20th anniversary celebrations of the community land buy-out on the Isle of Eigg. It is little known that all four of the founders the original trust in 1991 were heavily influenced by geopoetics. Kenneth White lent us words, inspiration and all-important legitimation. Simultaneously, the campaign that stopped the Isle of Harris superquarry also drew on his work and these campaigns involved poetry becoming political to aid that process. Geopoetics, and the pronounced generosity of its key people, has helped to shape modern Scottish land consciousness. An exploration of migration and enforced diaspora through time and place – a celebration of culture and diversity from Sicily 450BC to the Islands of Scotland 2017AD. A multimedia performance. A performance fusing story, poetry & music, which explores the Bardic tradition and shares a modern, ecobardic response. 21.00 Music from Kenny Taylor, Nikita Pfister, David Francis, UHI Music Students. Poetry from Elizabeth Rimmer and Norman Bissell. 9.20 Keynote Address Michael Russell MSP for Argyll & Bute and Minister for UK Negotiation on Scotland’s Place in Europe: Sweet the Cuckoo’s sound.. The Glenmassan Manuscript, written in 1238, brought to light a much older gem of Scottish /Irish literature, the lament of Deirdrie. Full of imagery of the place and its environment it is a good starting point to consider Argyll as an integral whole and the way in which it relates to its neighbours, then and now. Departure of visits to Luing/Kilmartin as per Friday options but with 30 minutes more time in each. A panel discussion on Argyll College’s emerging strategy on educational developments informed by recent research including Liz MacFarlane, Morag Nimmo, Ailsa Miles, Susie Wilson, John McLuckie, Wilma Brown. Anna-Wendy Stevenson, UHI, discusses Blended learning & the Applied Music Course. Simon Bradley, UHI. Presents an insight into Sustainable Creative Endeavour in the MA music and the Environment. Gilberto Scaramuzzo, University Roma Tre, and Jenny England, UHI, present a philosophical and practical session exploring the use of the body and the relationship between ourselves and the other (including the natural environment) as a means of enhancing learning. Gilberto Scaramuzzo leads a Masters on Pedagogy of Expression in Rome. Jenny England is a music educator based in Argyll. 12.30 The riches of Argyll – foraging and consumption! Amber Richards and Chris Wolfe, Argyll College UHI, present on the riches of the land and coast and how to get the best quality produce onto the table. An active workshop with produce to test! Creative outcomes of writing, music, film, photography, art and collaborations. Plans for follow-up in 2017 and 2018. 1 A greater understanding of Argyll heritage, archaeology and the creative process. 2 Individual creative work in a variety of media. 3 Live streaming online and short films of the event. 4 Publication in Stravaig online journal and/or in a book or booklet. 5 Presentations, Workshops and Exhibitions of creative and heritage outcomes in the Atlantic Islands Centre, Seil Island Hall, in Kilmartin, Inverness, Glasgow and Edinburgh in 2018.